A couple weekends ago, I had a great time shooting a "family" portrait for Lauren, Andrew and their two babies: a puppy named Cal (I think I'm remembering that right!) and their cat (whose name I can't remember--sorry ). They had mentioned that they never had any engagement pictures taken before their wedding. 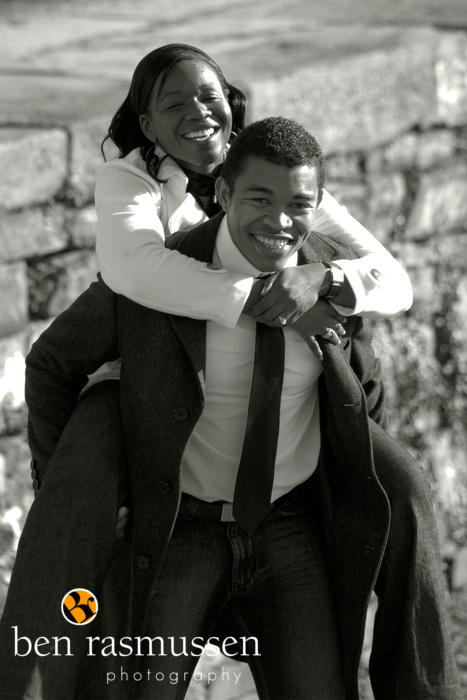 So, we started out with just Lauren & Andrew and shot some engagement-type portraits. Then we went inside for some shots with the kids, headed back out for some shots with Cal and finally, wrapped up with a few more of just Lauren & Andrew. Some of my favorites from the shoot are below. 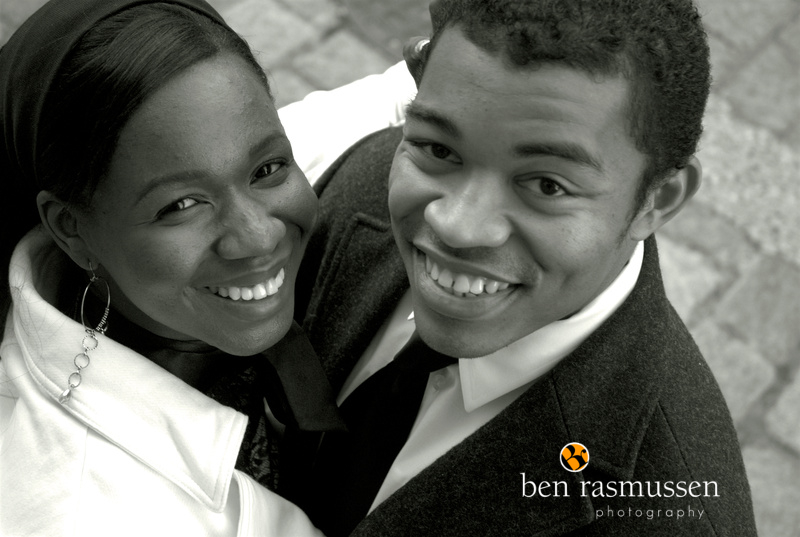 I had a great engagement session with Elodie and Samuel last week. We went up to Georgetown and spent a while along the canal and in an alley. We had a great time! 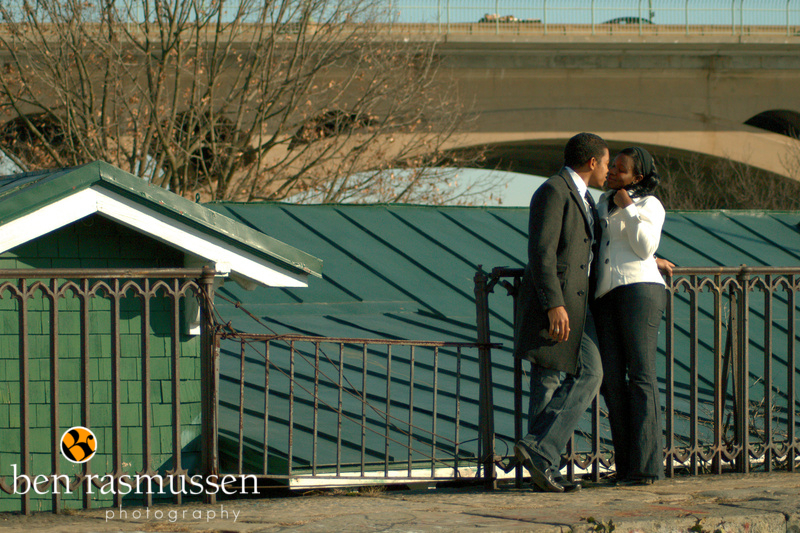 Elodie & Samuel were really comfortable in front of the camera and had fun with it.